Letting Jesus take control of your life is a scary thought and a stumbling block for many. It's easy to think that following Jesus would make life less fun and more limited. 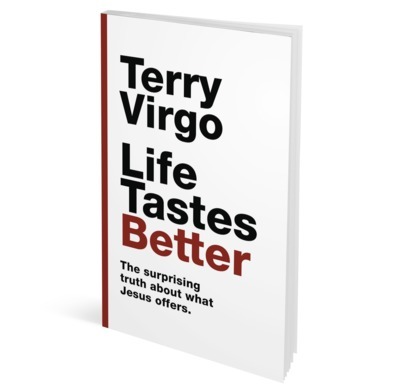 Drawing on his decades of introducing the real Jesus to people, founder of NewFrontiers Terry Virgo reveals the surprising truth that the Jesus who turned water into wine is ready to make every life taste better, both now and eternally. Because when we let Jesus take charge, our biggest problems are sorted out and we are free from the pressure of relying on ourselves for everything. Easy-to-read, short, clear, faithful and conversational, this is a perfect book to give to a non-believing friend. Terry Virgo's claim in this joyful little book is that when we find ourselves going through crisis, worry and tension, Jesus Christ wants to come and help us. Not like some kind of genie but the amazing Lord who wants to take charge and transform our lives. If, like me, you've ever wondered if God could possibly want to be involved with your life, then this is a great book for you. As Terry says, the real Jesus who gives abundant life "is really worth knowing". Terry has painted a real life Jesus in this small-sized book. It is brilliant in content, practical in application and easy to understand. It is also a great tool to introduce Christ to your family and friends who are from other faith. So many people have a view of Jesus — if they have any view of him at all — that he will somehow take the flavour out of life if you get too close to him. Terry Virgo shows how wrong a view that is. Jesus came to give life, the fuller, richer, tastier life we all sense we need.